The ERP system for businesses. stock availability, both in stores and online. your stock is in the right place at the right time! 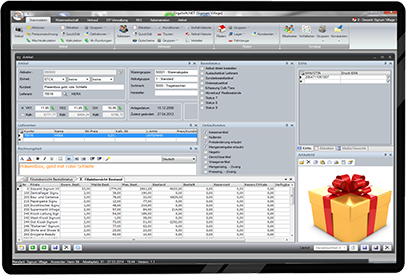 Orgasoft.NET is an ERP system for retailers and restaurant chains with a focus upon branch integration. With Orgasoft.NET you are able to map both centralised and decentralised ERP systems in the same way. Signum GmbH has been a provider of ERP and POS systems for medium-sized retailers and restaurant franchises for more than 25 years. Our core competency lies in the integration of ERP systems into a company's existing organizational structures. Orgasoft.NET is a system you can access anywhere and anytime in its full extent. You can control your operation at once from anywhere - whether from your brnach, from headquarters or from your vacation resort. Webshops in particular are gaining in importance in times of multichannel marketing. A number of webshops are connected to Orgasoft.NET via the eCommerce interface. In order to meet all project requirements, we offer POS systems from our partners according to the best of breed philosophy. Sophisticated and proven system integrations have been in place for many years.